It's been a while since I have seen Anna Kendrick on the carpet but the actress was on hand for the 2017 Glamour Women of The Year awards yesterday evening(June 6th) at Berkeley Square Gardens in London, England. 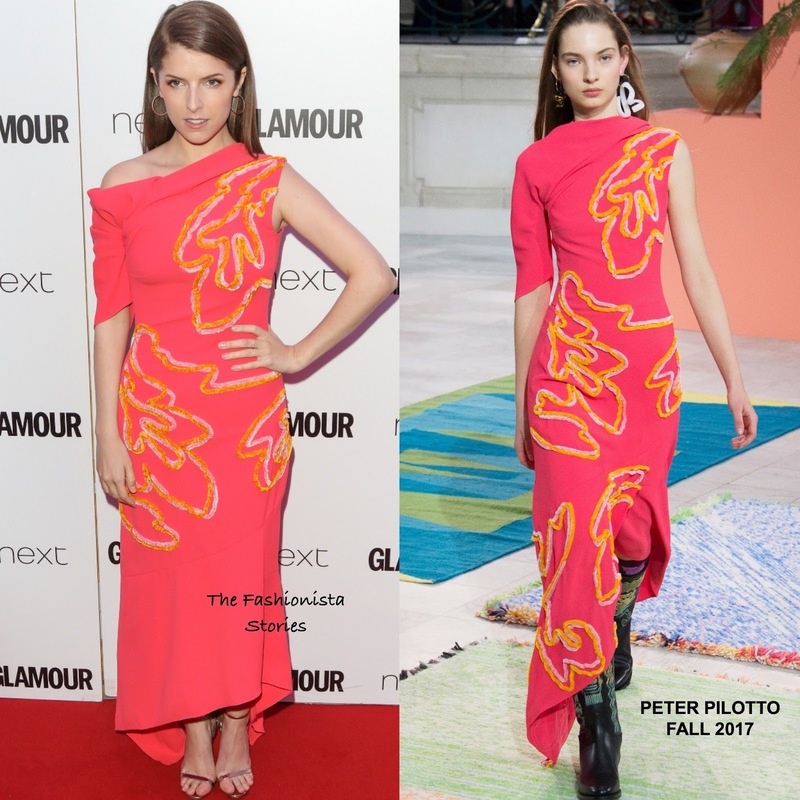 Working a colored look, she wore the PETER PILOTTO FALL 2017 coral Chenille cady dress with a draped shoulder detail, a contrasting yellow & pink appliqué and a asymmetrical hem. Anna modernized her look by wearing the top off-the-shoulder on one side. Allowing her dress to remain the focal point as it should, she complimented her look with minimal make-up and straight, off-the-shoulder tresses. She finished up with EF COLLECTION hoops, a GRAZIELA GEMS ring and JIMMY CHOO sandals.